What do you get when you combine the typical healthy spinach and artichoke dip ingredients with pasta? 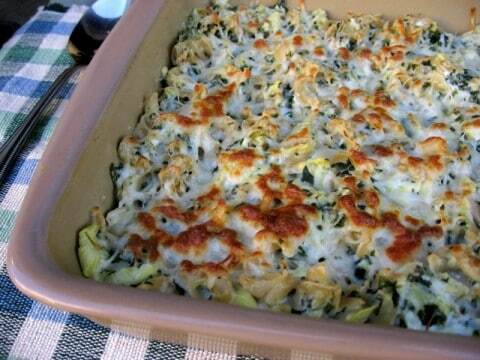 A creamy and delicious artichoke spinach baked pasta dish, of course. Chunks of artichokes and bits of spinach tossed with pasta, nonfat Greek yogurt, lowfat cream cheese, grated Parmesan, shredded lowfat mozzarella, topped with a little more cheese and baked until golden. This skinny artichoke baked pasta truly is creamy comfort in a dish. 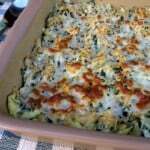 Perfect for Meatless Monday, I think this artichoke spinach baked pasta would also be great with a little cooked chicken stirred in. According to my calculations each serving has 284 calories and *9 SmartPoints. Following Weight Watchers Freestyle, this is now *8 WW Freestyle SmartPoints. Enjoy! no penne or rotini – use whatever short cut of pasta you prefer. Shells, macaroni, ziti. This would also be good with gnocchi or filled pasta like tortellini or ravioli. If you’ve made this baked pasta, please give the recipe a star rating below and leave a comment letting me know how you liked it. Cook the pasta according to package directions. Reserve 1/2 cup of the cooking liquid, then drain the pasta. Meanwhile, heat the oil in a medium skillet over medium heat. Add the onion and 1/2 teaspoon each salt and pepper and cook, covered, stirring occasionally, until tender, 8 to 10 minutes. Add the garlic and cook, stirring for 1 more minute. Heat the broiler. In a large bowl, combine the yogurt, cream cheese, Parmesan, and lemon juice until well blended. Add the onion mixture and stir until combined. Add the pasta to the bowl and toss to coat. Stir in the spinach, artichokes and 1/4 cup of the pasta cooking liquid. (Add more liquid if the pasta seems dry.) Gently stir in 1/4 cup of the mozzarella. Transfer the pasta mixture to a broiler-proof 9-inch square casserole dish. Sprinkle with the remaining 1/4 cup mozzarella. Broil until golden brown, about 5 minutes. this recipe is so good! just a quick question…how much lemon juice should i be using? in the 3rd paragraph you mention adding lemon juice, but how much isn’t listed in the ingredients. i guessed the first time i made it and put in a tablespoon. still came out fabulous! You guessed right! I’ve updated the ingredients list to show 1 tablespoon lemon juice. Thanks for letting me know that it was missing. thanks martha! we love this recipe so much, I’m making it again tonight! Can u make this with fresh artichokes? Any ideas on how to incorporate them? You could use fresh artichoke hearts, but of course it’s a lot more work. You would steam the artichokes, remove the leaves and then chop the artichoke hearts and proceed with the recipe as written. Hope this helps. This was wonderful and it was a hit with the guys in my house. Easy to prepare and it had nice flavors. Will make this again! 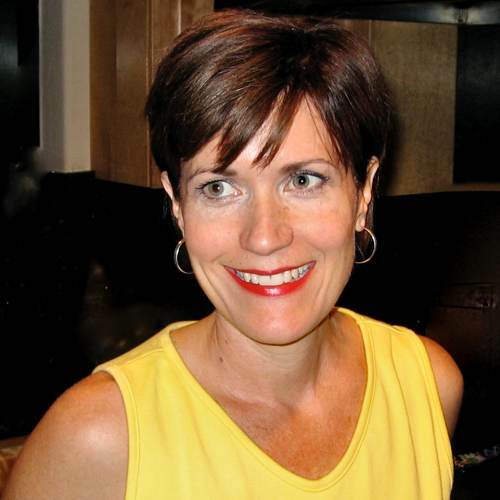 Hi Colleen, so glad to hear that you and your guys liked it! Could you chop up a few baby Bella mushrooms for another flavor layer? Hi Jana, I haven’t tried it but think it would be fine. The BEST! I have almost zero cooking experience and was able to prepare this dish. If I can make this recipe, so can you! I used fat free cream cheese, fat free mozzarella, etc. It was AWESOME! Thank you for sharing this! This recipe was fantastic! I got so many compliments on it, and my son ate at least three bowls! I’m glad i doubled the recipe!